Franke BKON - Algorithm Vacuum Brew Technology | DSL Inc.
Have you ever put off steeping a beverage, such as tea, because you just don’t have the time? Wouldn’t it be nice to have a perfectly steeped tea right before bed every night without having to wait several minutes? There’s now a high-tech brewing solution that can create the glass of your dreams faster than you may have ever hoped: http://bkonbrew.com/singlecup/craft-brewer/ BKON repeatedly infuses tea by sealing it in a vacuum, apparently allowing it to create the perfect glass in about a minute’s time. Bkon says that by drawing air out of the tea’s brewing chamber, the leaves will quickly and thoroughly release flavorful gases and particles into the surrounding water. its machine can perform several vacuum infusions over a single minute, and the timing and cycles can be changed based on what exactly you’re brewing. 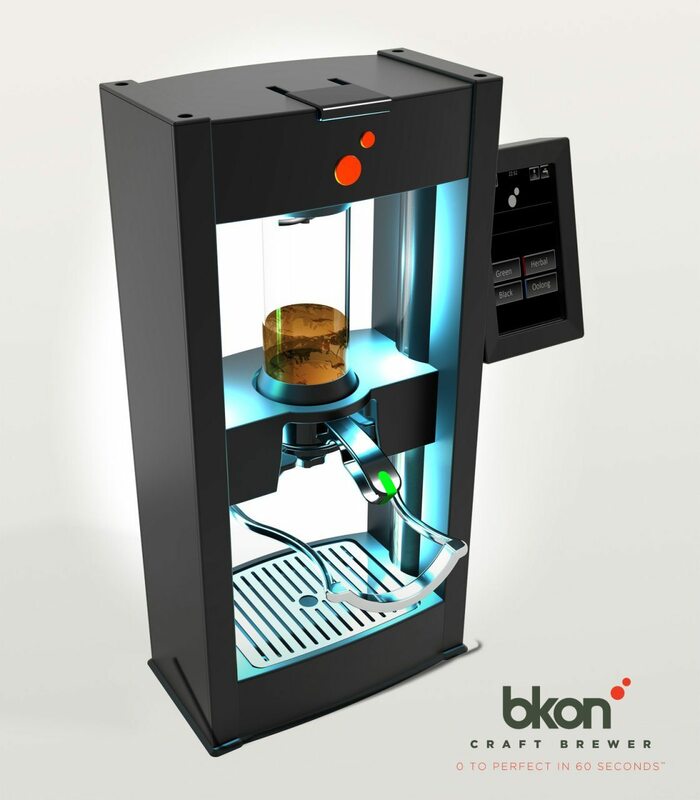 Bkon says the machine can be used for brewing coffee and making infused cocktails too, though the machine is distinctly built around use with tea leaves. According to BKON, RAIN is equal parts technology, science, and art. BKON has spent over eight years building a knowledge base on how vacuum depth, duration and frequency can produce unique beverage outcomes. BKON’s intimate grasp of RAIN’s transformative nature provides the company a unique lens for innovating new products and market strategies within the world of beverage. The company’s first RAIN-powered product, the BKON Craft Brewer, received the coveted “Product of the Year” award in 2014 by the Specialty Coffee Association. It was also named “Best New Product” at the World Tea Expo 2013 and was awarded the 2014 “Kitchen Innovations Award” at the National Restaurant Association Show. Fortunately, there are other ways to a good glass of tea. As Bkon’s co-founder explained in a video demonstrating the machine’s capabilities last year, “It’s impossible to do this any other method, other than a teapot, boiling water, and six minutes of time.” DSLs Port Coquitlam office will soon have one of these units in their test kitchen, ready for presenting to our customers so keep an eye out for future updates.